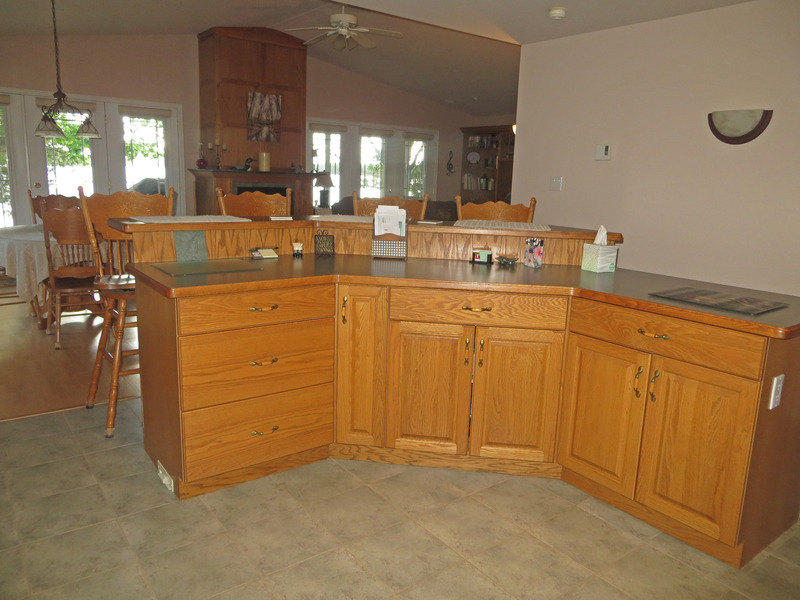 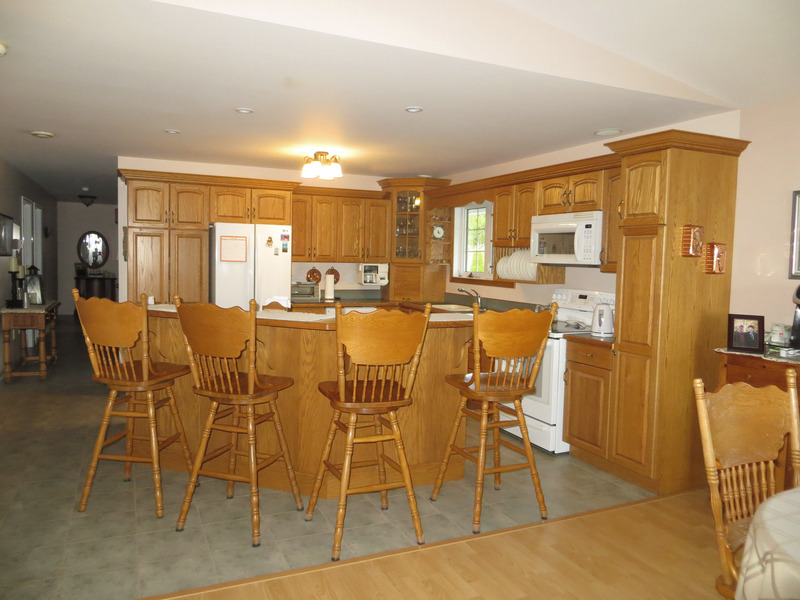 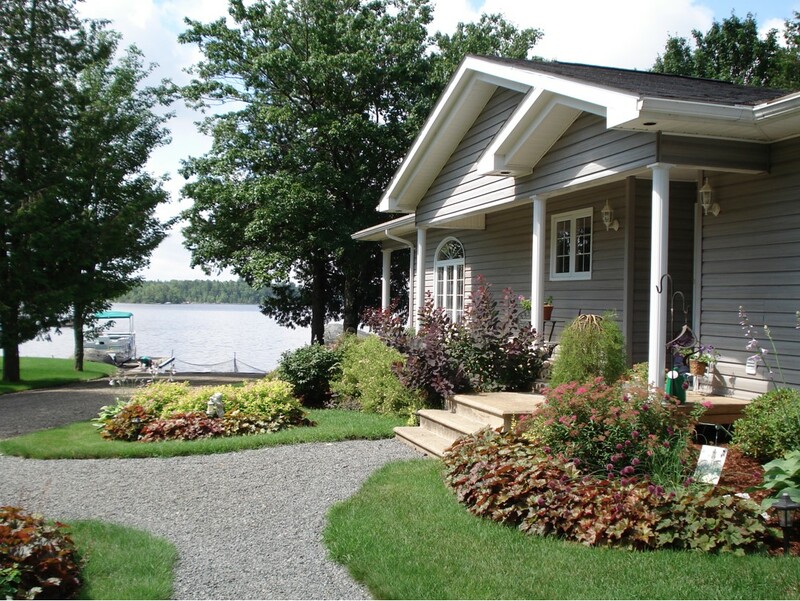 Lakefront Year-Round Retreat with Ranch Home & 4-Car Garage! 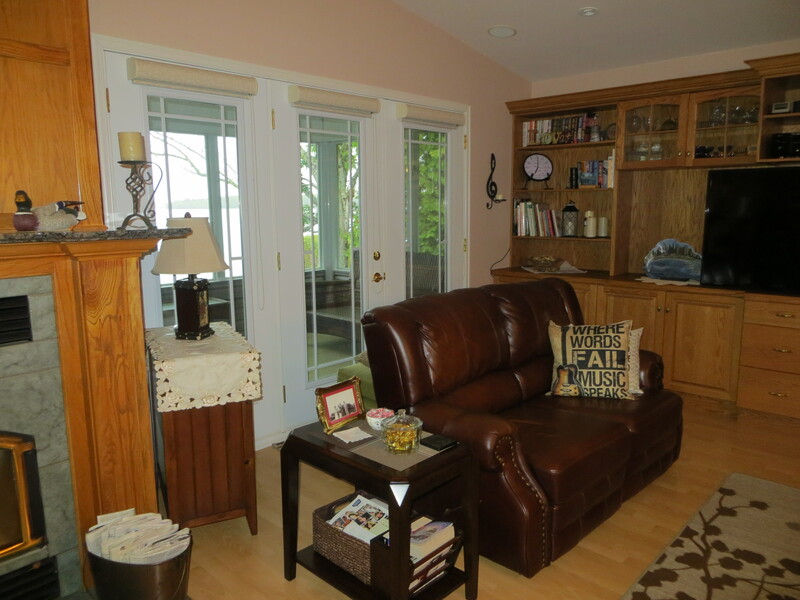 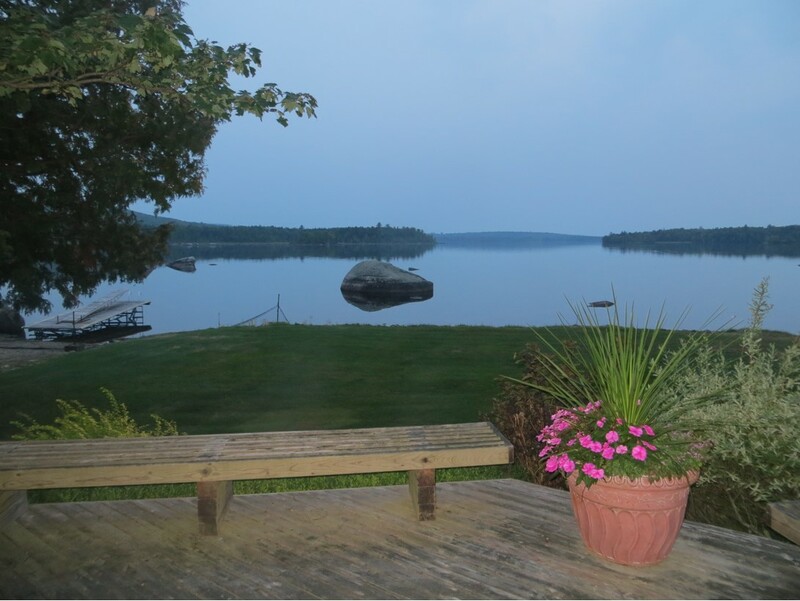 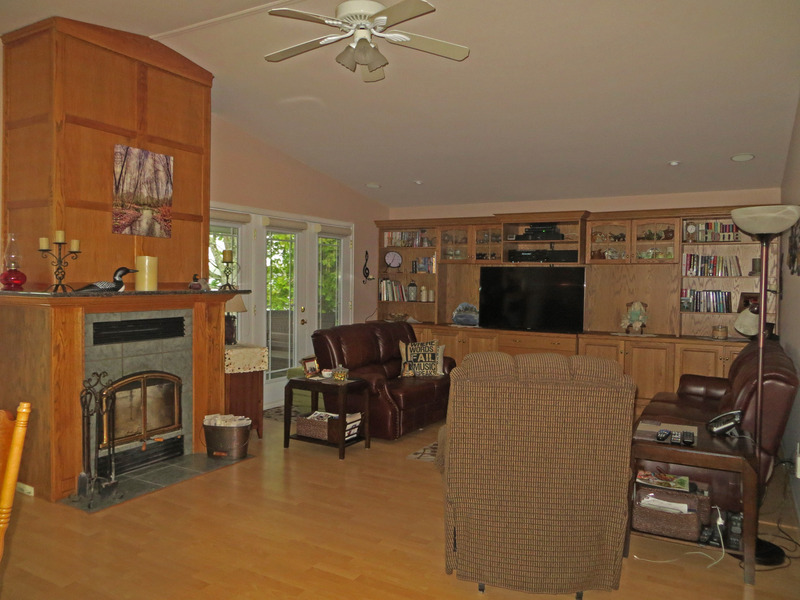 Amazing waterfront home on 4.54 secluded acres on scenic North Lake. 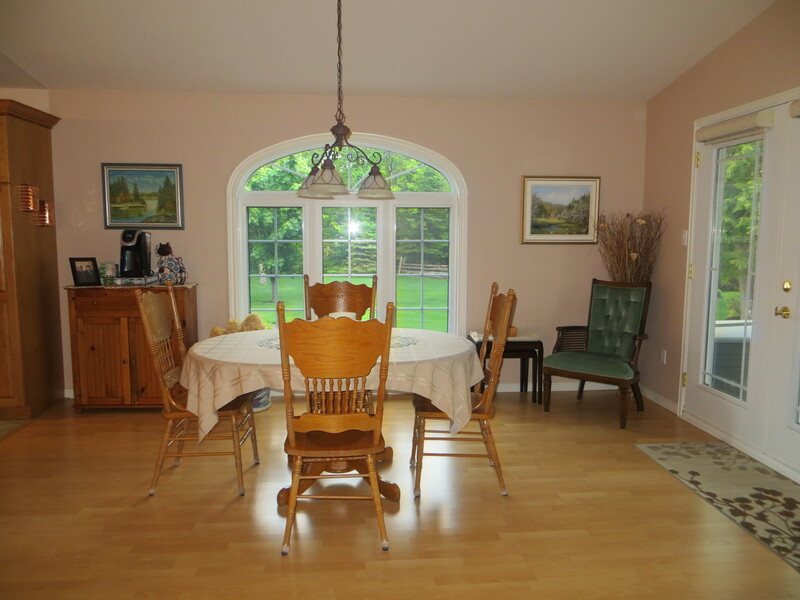 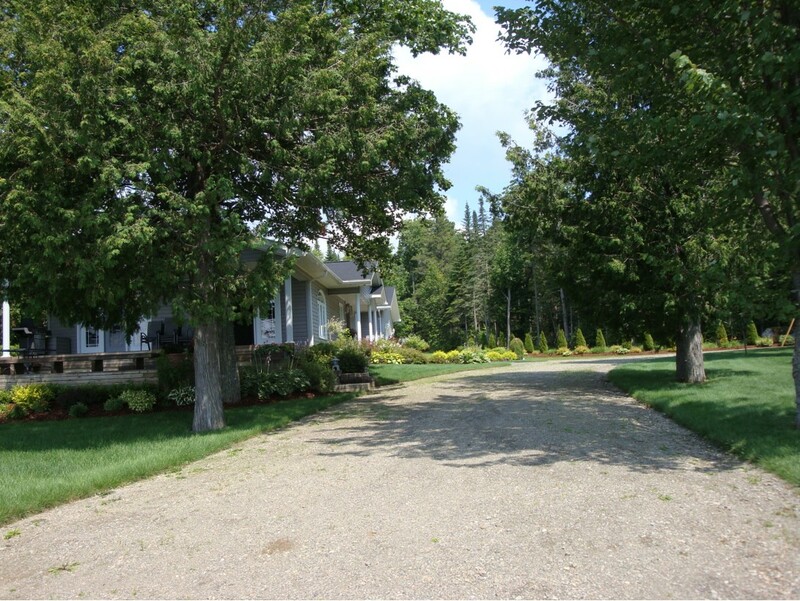 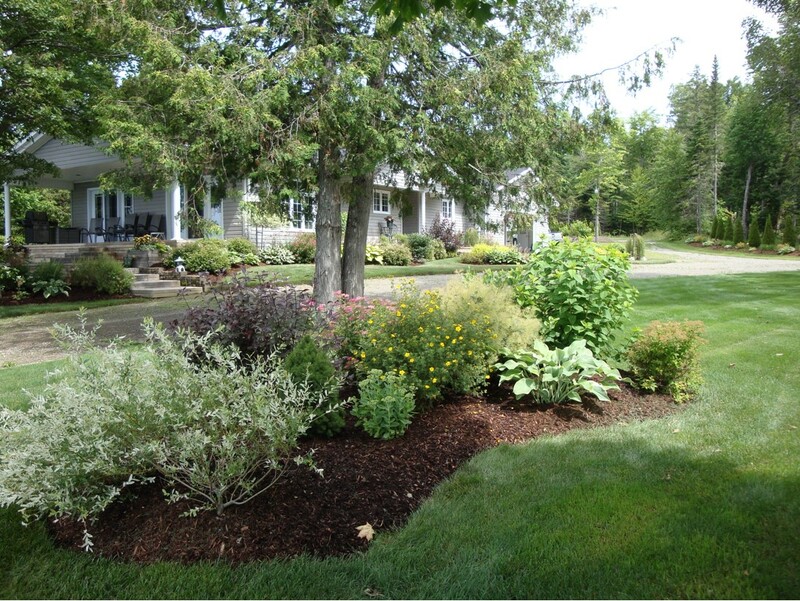 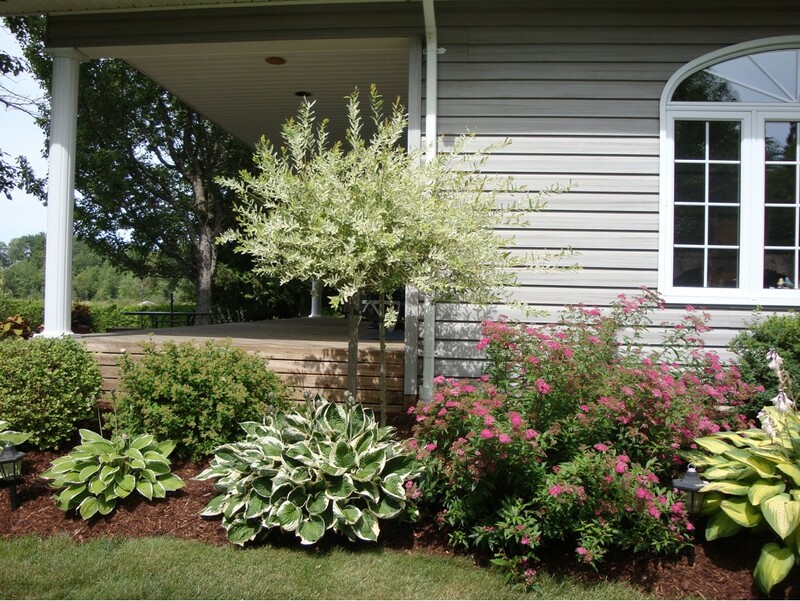 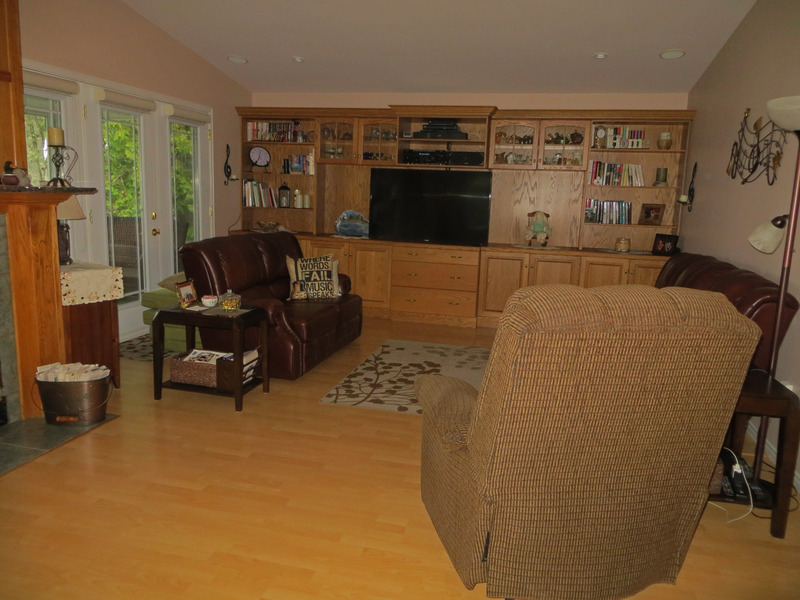 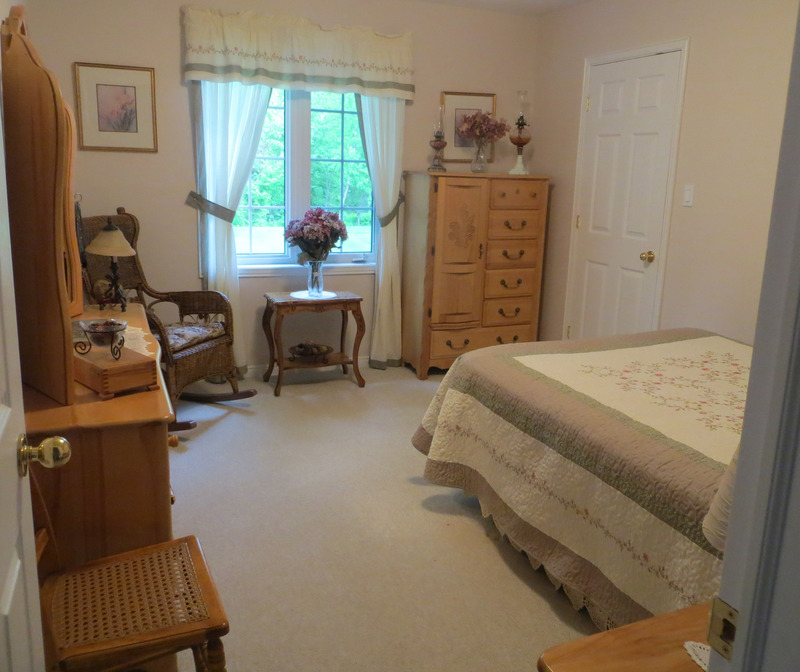 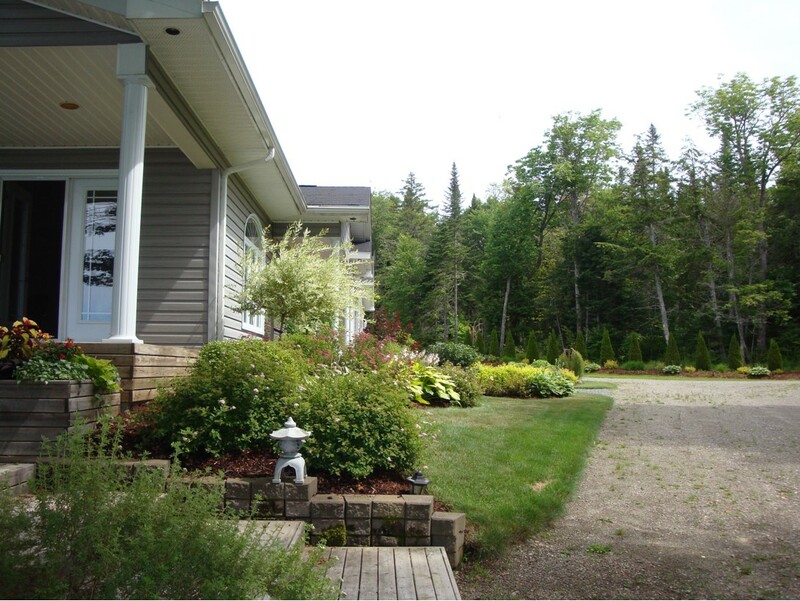 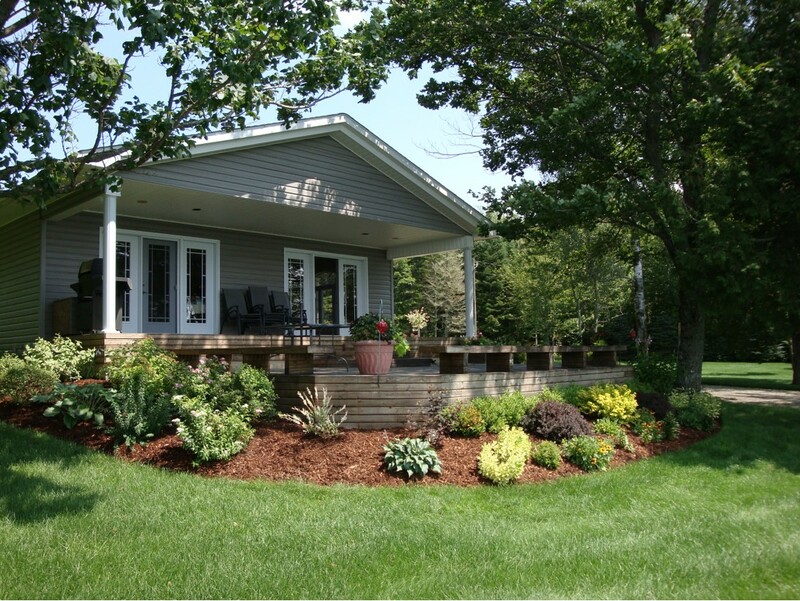 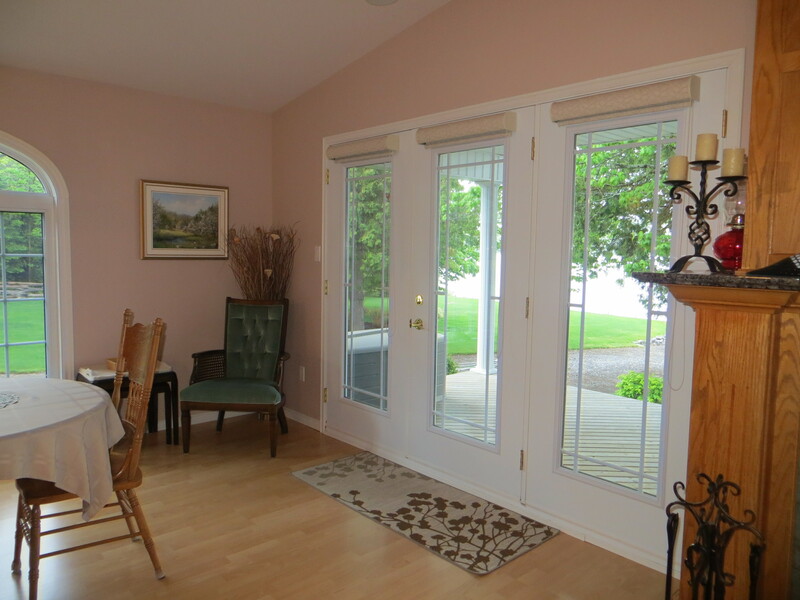 Beautifully landscaped with circular driveway, mature trees and perennials. 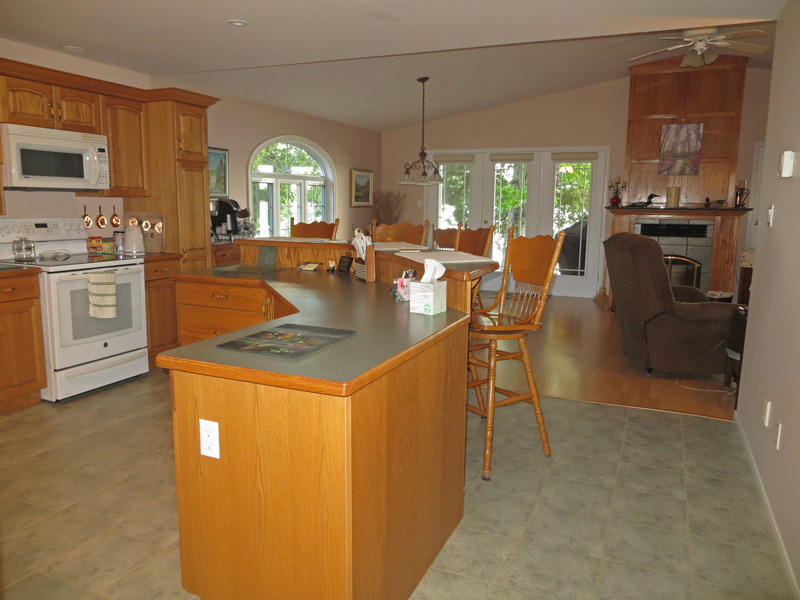 This well-built, well designed home features one level living at it’s finest with this 1875 sq. 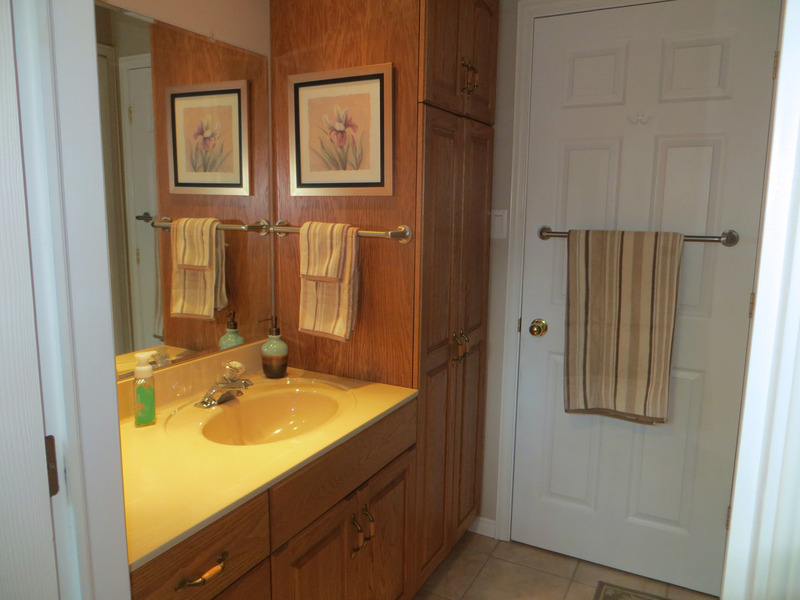 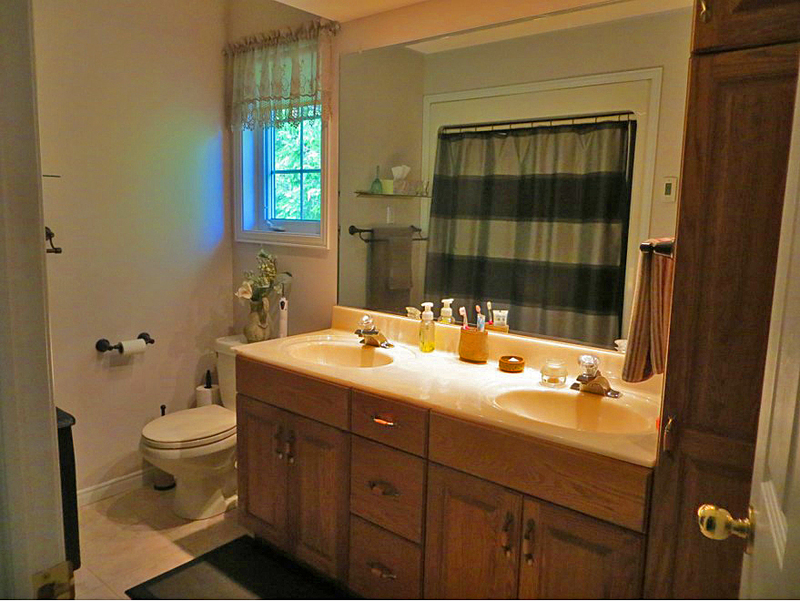 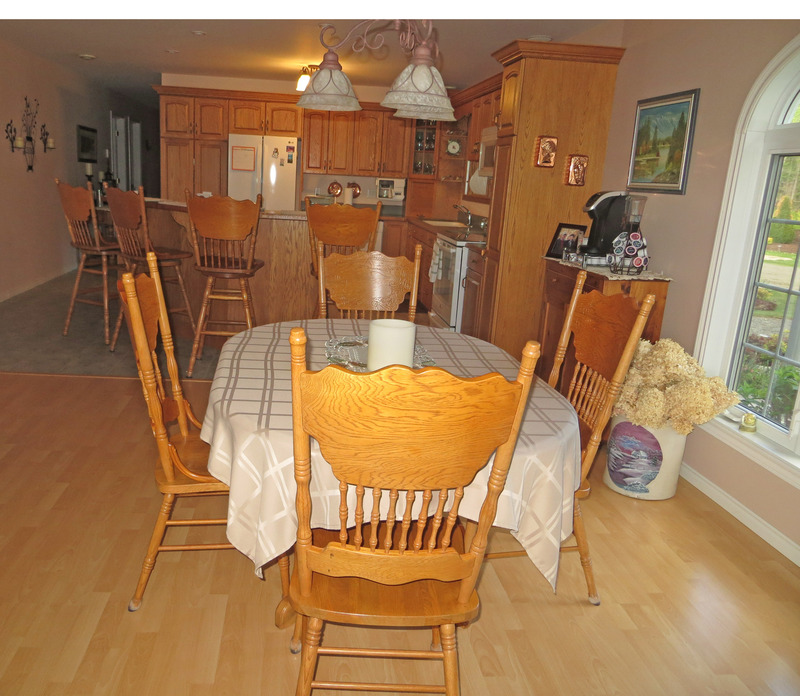 ft. ranch-style three bedroom, two full bath home overlooking the pristine water. 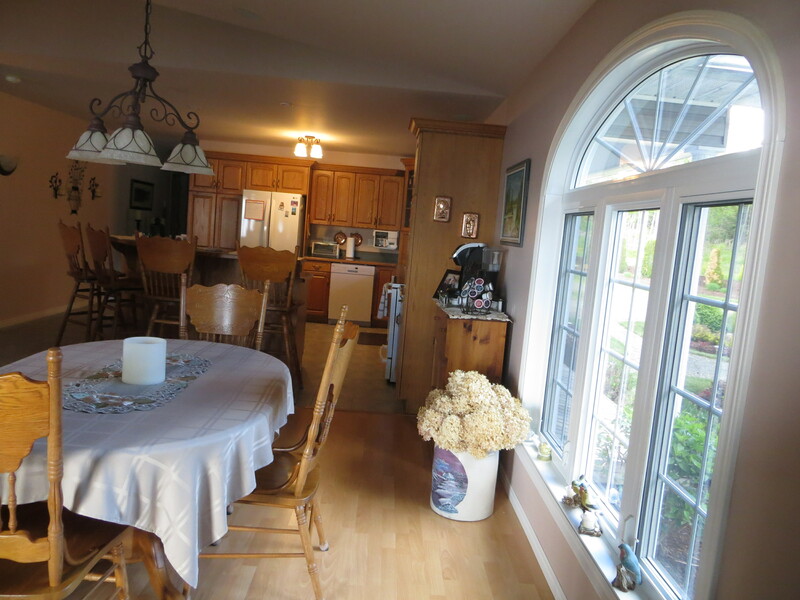 Custom kitchen with huge casual eating area with an abundance of counter space, cabinetry and sunny Palladian window and garden doors to deck is open concept with the great room featuring wall of custom built-ins and inviting cozy wood-burning fireplace. 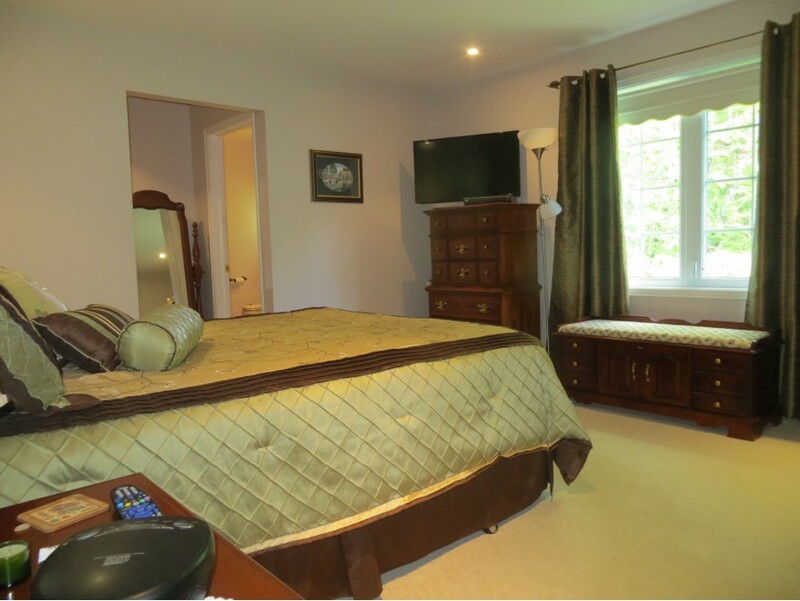 Master bedroom with walk-in closet and three-piece ensuite bath. 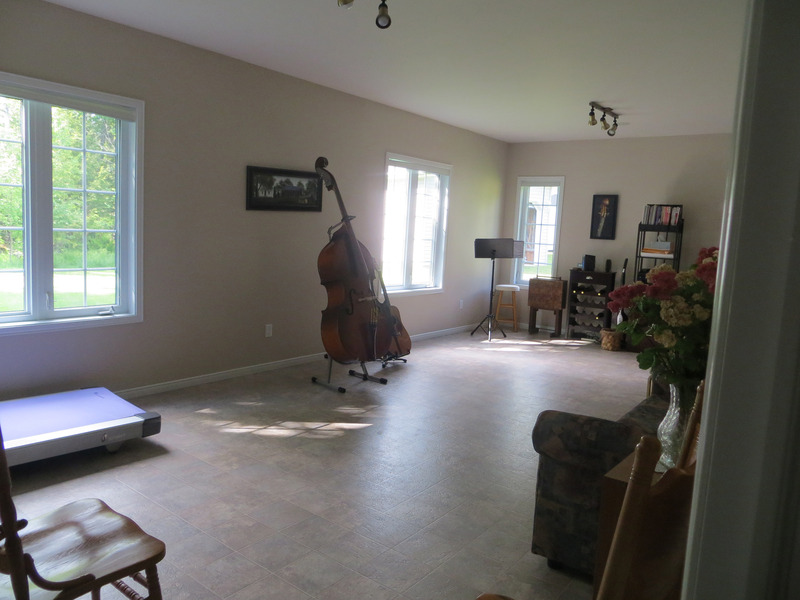 Second bedroom and second full bath plus third bedroom currently used as a music room perfect as a den, crafts room, gym, etc. 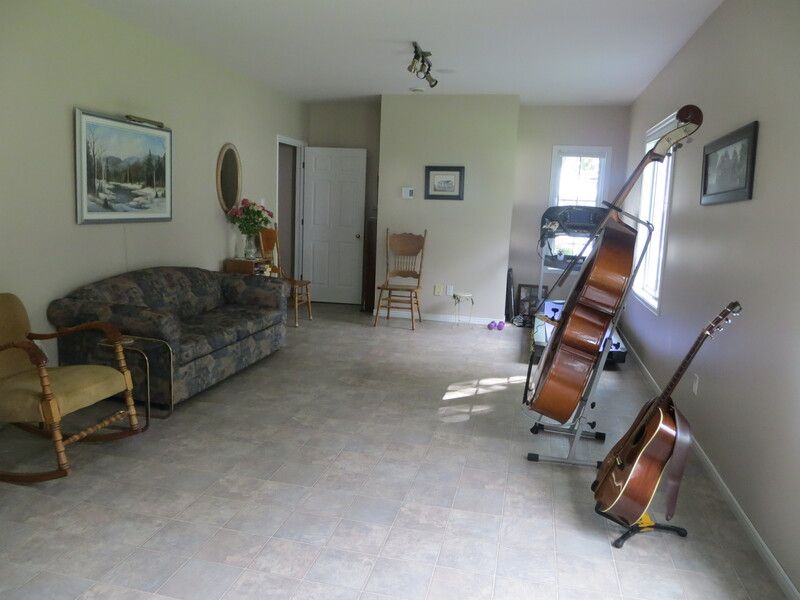 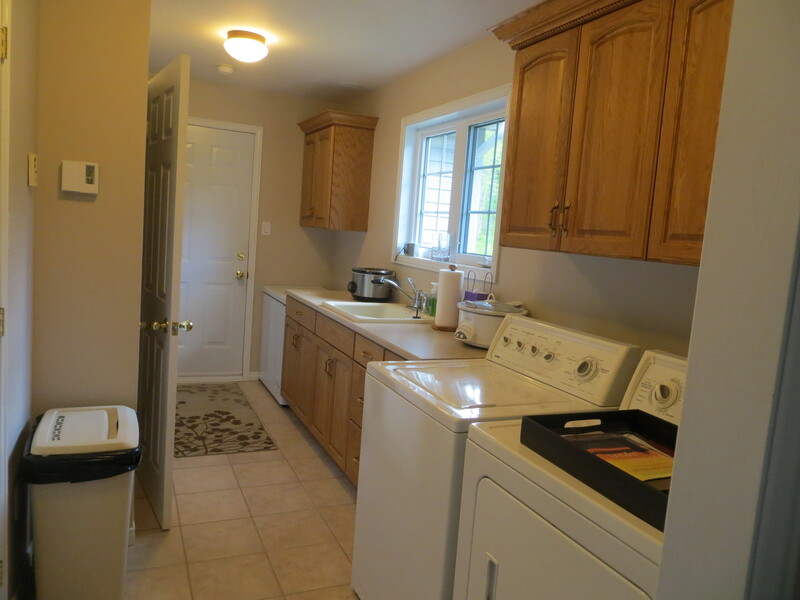 Attached 2-car heated and totally finished garage plus additional detached 2-car garage as well currently used as a storage shed. 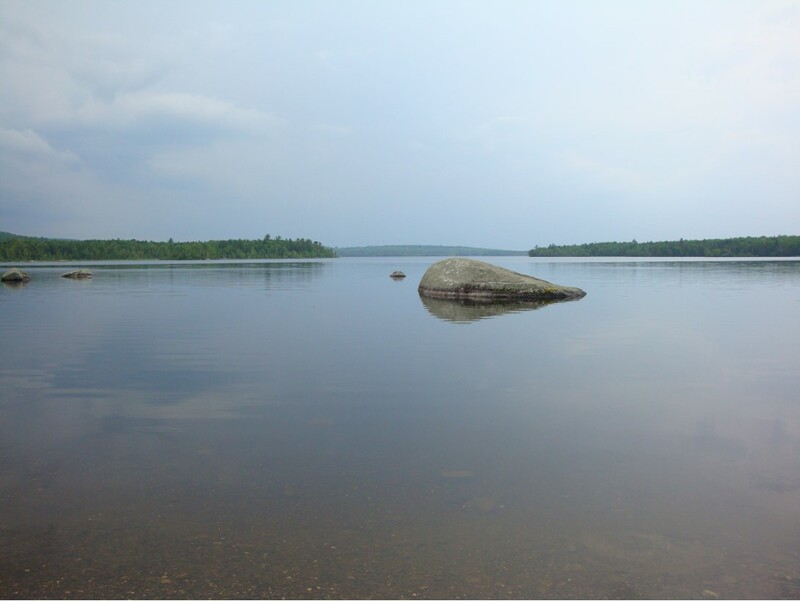 Pristine lake is perfect for swimming, fishing, Sea Doos, kayaking and boating in the summer; skating, cross-country skiing, ice fishing, snowmobiling in winter! 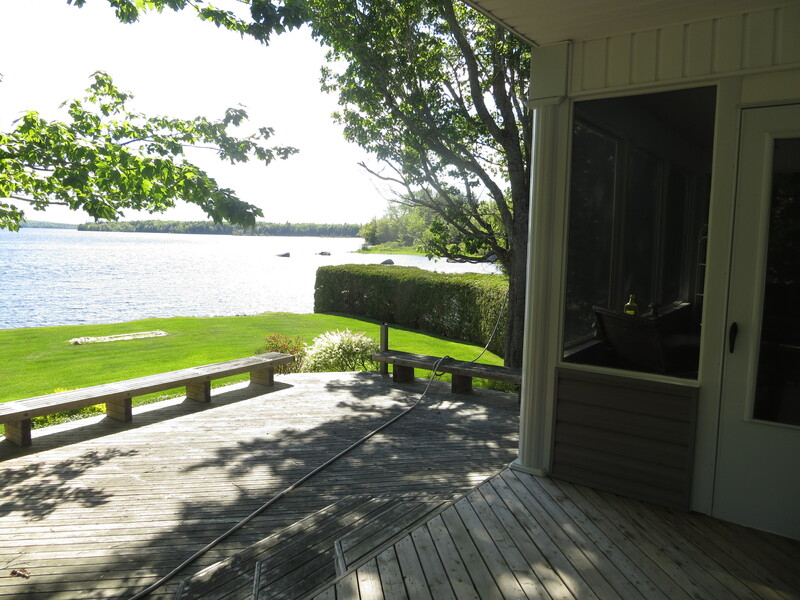 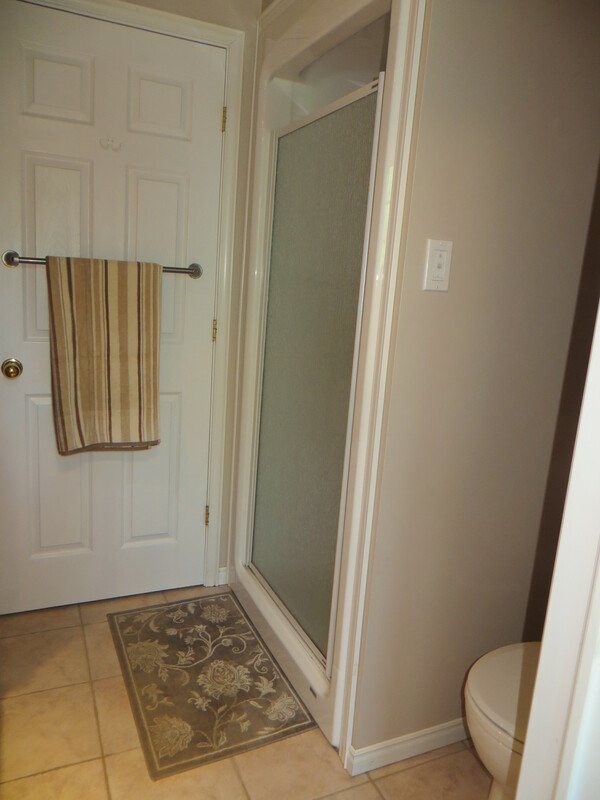 Property includes your own private boat launch. 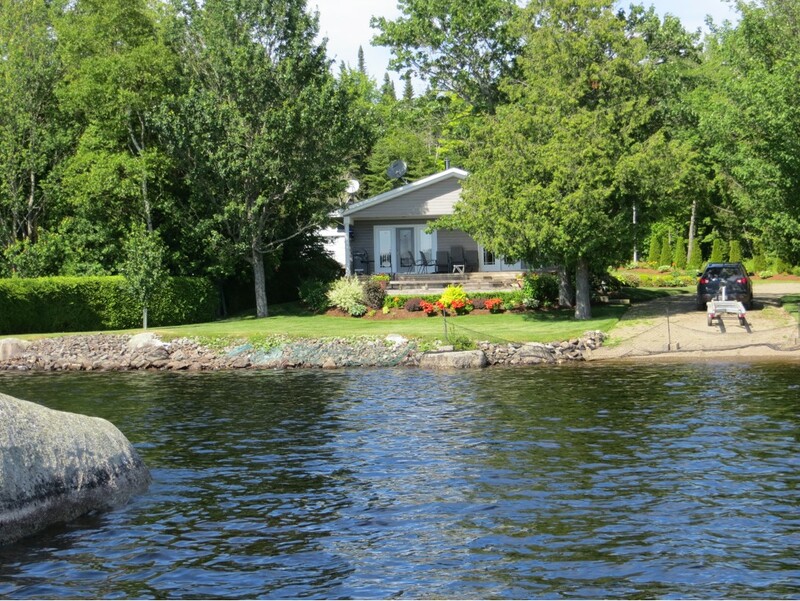 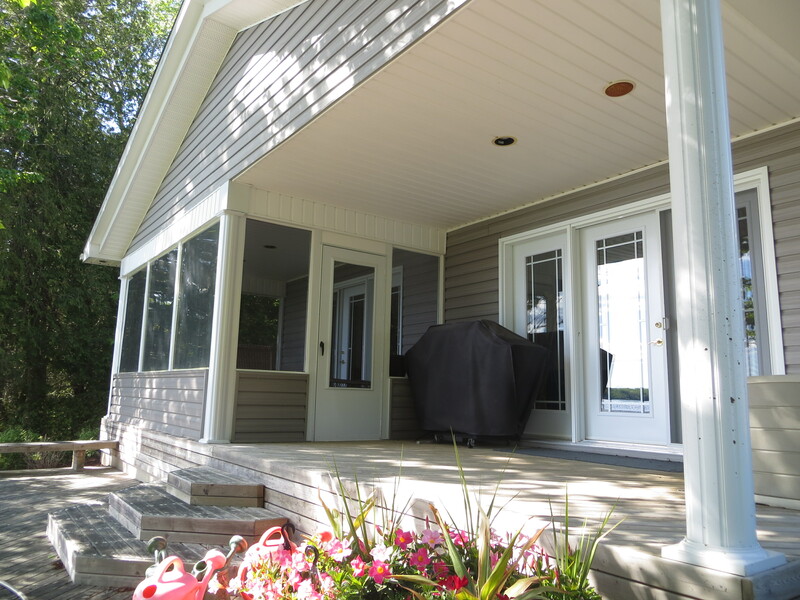 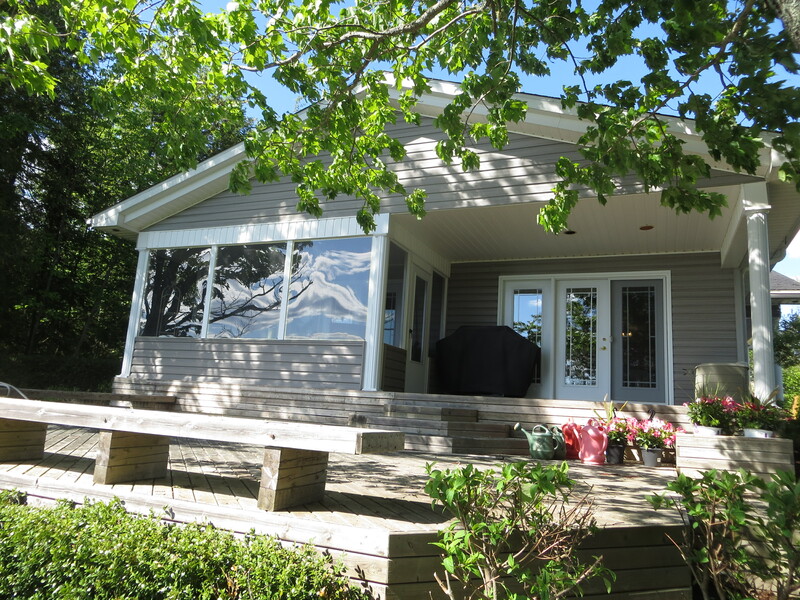 There is no end to the fun to be had at this handsome waterfront property for friends and family alike! 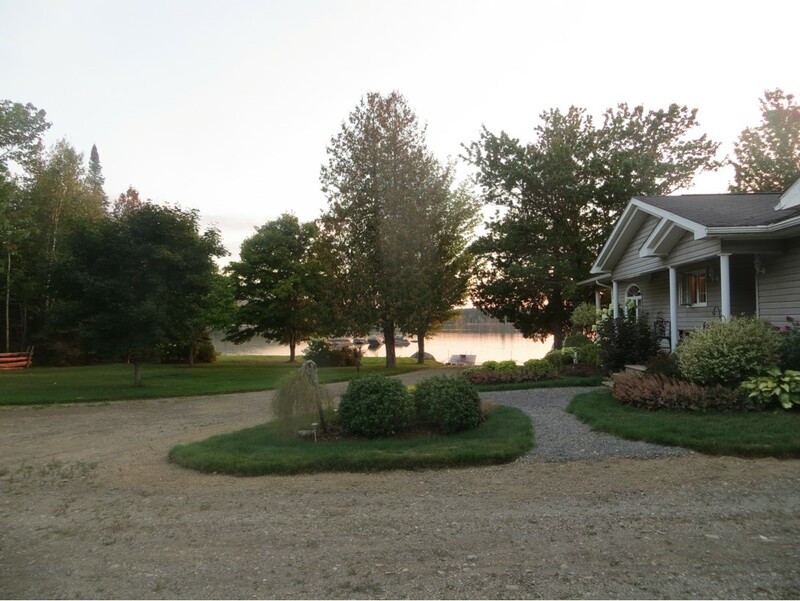 For more details and your private viewing contact by cell or text Katherine Bacon, Global Luxury Specialist at 506-650-8575 or Charles Turnbull at 506-636-0748.